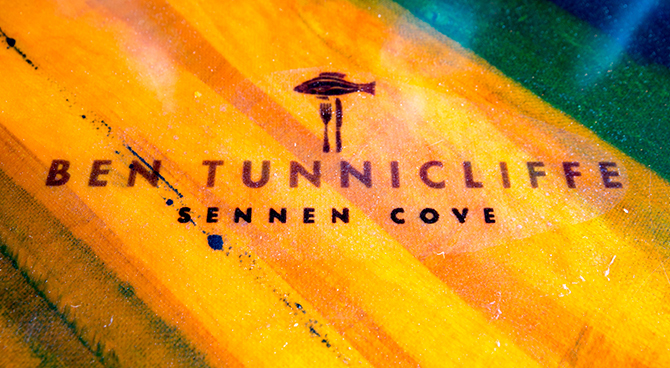 We place Ben Tunnicliffe Sennen Cove under our ‘Tried and tasted’ microscope. 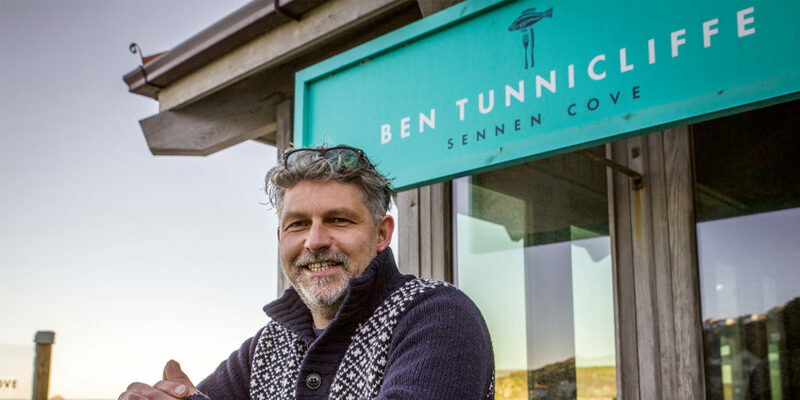 While no one here at Cornwall Living would be found guilty of wishing time in the office away, it’s great to know that Friday evening is finally here, as J and I are headed to the far reaches of the Penwith peninsula to see if the rumblings are true about Ben Tunnicliffe Sennen Cove. Having already heard great things, and with the promise of a bit of rough weather to add to the evening’s atmosphere, we’ve booked a table for 7.30pm, to see what all the fuss is about. We arrive in the car park and J’s Mercedes begins shuffling in the wind. It’s wet, the sea’s beginning to churn up the shoreline below and the wind is beginning to howl. It’s a proper Cornish evening. 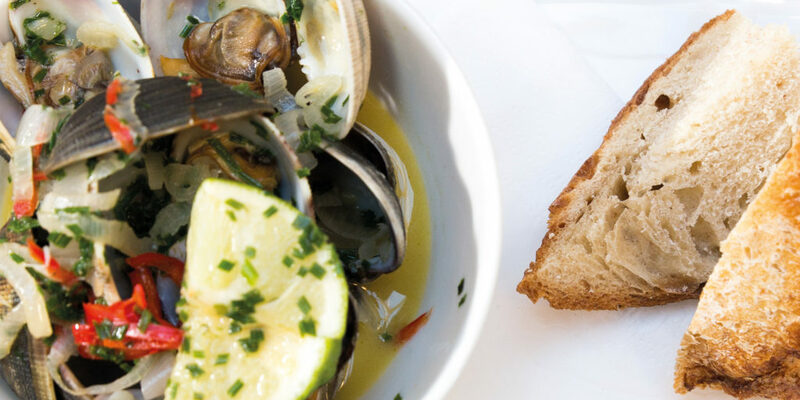 As we step inside the restaurant, however, we’re immediately warmed by its bright, well-lit décor; cheered by the smells drifting from the open-facing kitchen; welcomed by the smile of our waiter for the evening. We take a seat and straight away my eyes are drawn to the kitchen. 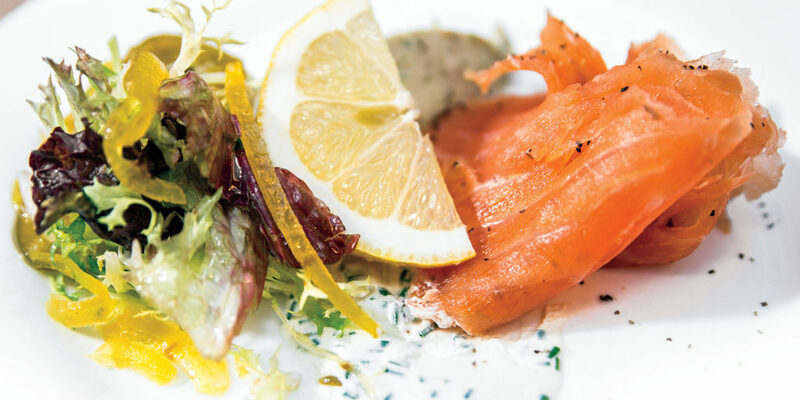 The chefs are busying themselves beneath the daily specials board, which announces the availability of the day’s gurnard starter and hake-fillet main. I’m tempted to go for the gurnard, but against the pan-seared scallops, which are served on medallions of hog’s pudding with a rich apple puree, there’s really no contest. Delicious. We also order a bottle of white, which promises to match beautifully with my pork confit main. The mains arrive, and the presentation, as with the starter, is spot on. They taste even better than they look, and we hardly exchange a word as we eat – silence usually indicative of a well-received plateful. My pork, served on a bed of creamed potato with braised celery, cider apples and grain mustard is so tender that it simply falls apart, while J can’t believe how well her steak’s cooked! 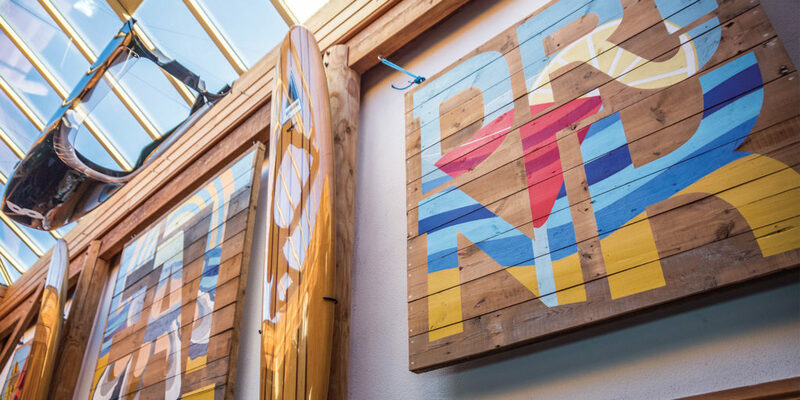 Together, over the last couple of years, we’ve explored some fantastic locations, and we’ve eaten some exceptional food, too, but in Ben Tunnicliffe we’ve found a restaurant that combines the two. Indeed, it’s a shame that we arrived in the dark, as being able to look over the sea that we know is less than a stone’s throw away would truly be the icing on the cake. Instead, to satisfy that sweet tooth, we round the meal off with dessert – for me, chocolate fondant with tipsy prunes and prune and Armagnac ice cream, for J, warm almond and pistachio cake, with poached quince and amaretto cheesecake cream. I finish my water, J the wine, before thanking our accommodating waiter and stepping outside. Our cheeks flush in the cold, and I feel myself revitalised by the rush of Atlantic wind. By the time we climb into the car and strap in for the ride home, we feel relaxed, ready for the weekend ahead. If only every Friday ended like this! "...we hardly exchange a word as we eat - silence usually indicative of a well-received plateful."